Benue State workers have on Tuesday begun a 7-day warning strike over the non-payment of salaries and allowances. I was noticed that offices were all locked as the workers complied strictly with the directive by the Nigerian Labour Congress and Trade Union Congress to stay away from offices, News Agency of Nigeria reported. Busy routes leading to most offices were also quiet. At the State Secretariat in High-level area, Makurdi NAN met only security personnel behind the locked gates. At the Secretary to the State Government’s Office along JS Tarkaa way, only a few casual staff were sighted loitering around. Other offices visited included the Benue State Environmental and Sanitation Agency, Benue State Water Board and the Urban Development Board . Mrs. Rita Mnguzamber a civil servant, told NAN that the strike was long overdue. “We have been very patient with this government. The governor was voted in because he promised to make workers’ welfare his priority. “He promised to settle arrears of salaries and pensions, but since he assumed office, it has been one excuse after another. We are just tired,” he said. A political Analyst, Mr Johnson Terhide, said that the workers’ action was in order. 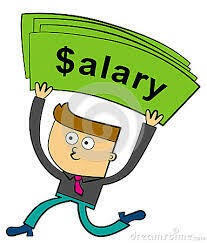 “Prompt payment of salaries and pensions should not be toyed with by any government. Workers cannot be expected to serve an irresponsible government that has no regard for their welfare,” he said. He said that the current administration was voted in because Gov. Samuel Ortom accused his predecessor of not being worthy to serve because they were not paying salaries, allowances and pensions. “Unfortunately, his government is even worse. The workers have resolved that no one will take them for granted and I feel this is in order,” he said. Terhide urged government to meet up the demands of the workers to make for effective governance. Mr Paul Egye, an economist, said that the non-payment of salaries had affected the Benue economy. “Benue is an agrarian state; lots of farm produce are wasting away due to lack of money to buy them. “People cannot pay school fees. May cannot pay rent. A lot of things are at a standstill. We cannot continue like that,” he said. NAN reports that the strike, the first to be declared by labour since Ortom became governor in 2015, followed a communique jointly signed by the NLC Chairman, Mr Godwin Anya and his TUC counterpart, Mr Ordue Tartenger. The duo had rejected Ortom’s appeal to shelve the action and wait for better days when the economy would improve. “His appeal is predicated on the prevailing economic situation, but the state has not stopped receiving statutory allocations from the federation account. This is besides Internally Generated Revenue and other revenue receipts from the federal government. “He (Ortom) appealed for understanding without any offer; he is mute about supplementary support from the Federal Government such as bailout and stabilization funds, Paris Club refunds, among others,” the communique said. The unions advised government to implement the state of emergency it declared on payment of salaries, gratuities and pensions. Reacting, Special Adviser to Ortom on Media and ICT, Mr Tahav Agerzua, said that the governor had placed all the cards on the table before the labour leaders. 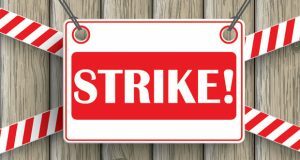 He opined that the strike was not the solution because it would not bring the money needed to pay the salaries and arrears being demanded.